The Rijksmuseum in Amsterdam is dedicated to Dutch art and history. In 2019 the museum is celebrating the 350th anniversary of Rembrandt's death with exhibitions and special events. A wealth of exhibitions greets the 350th anniversary of Rembrandt’s death. But, of course, no museum has better resources to explore his life and work than the Rijksmuseum. And its two main anniversary shows should not disappoint. The exhibition that ends the year is mouthwatering. Rembrandt-Velázquez, opening in October, will look at these two giants of Baroque art together in depth for the first time. Though they were among the leading painters in their respective nations at the time, and born seven years apart (Velázquez in 1599, Rembrandt in 1606), the two artists had no contact and probably did not know each other’s work: Velázquez’s small output was largely confined to the Spanish court, to royal courts overseas and the Papacy; Rembrandt’s art was created for a broader range of patrons, and his engravings led to international renown, but there is no evidence that any etchings found their way to Velázquez. A key consideration is that the Eighty Years War between the Dutch and Spanish raged for much of the artists’ lifetimes, up to 1648. Nevertheless, the show (a collaboration with the Prado, whose version of it opens in May)intends to find common ground, as well as disparities, between the two artists and their peers. Beyond the central titanic duo, the show features Francisco de Zurbarán, Jusepe de Ribera, Johannes Vermeer and Frans Hals, among others. The concept is sharply defined. The show will consist of a series of paired works—one Spanish painting, one Dutch—in which, Weber says, “maybe the subject differs, but the underlying feeling, the emotion, the underlying notion, is the same”. One example is the juxtaposition of pictures by Pieter Saenredam and Zurbarán. Agnes Dei, or the Lamb of God, one of Zurbarán’s masterpieces, is “a very serene and melancholic painting, only in black and white and ochre; a very Catholic painting, a symbol of the Passion of Christ,” says Weber. Saenredam’s painting of the interior of church of Assendelft is, Weber argues, “in the same mood, in the same colours, black and white and ochre”, yet the church, in contrast to Catholic places of worship, is empty. Weber says it is “the same story” as the Zurbarán, “but shown in a very different manner. It is about religion, about the strongest virtues of faith, but transported in two different subjects.” Among the most illuminating pairings will be Vermeer’s The Little Street and Velázquez’s plein-air painting of the Villa Medici in the gardens of the Villa Borghese, in Rome. But inevitably it is the Rembrandt-Velázquez combinations that will attract the most attention. There will be several, but one example given by Weber more than whets the appetite: that Rembrandt self-portrait as the Apostle Paul again, but this time alongside Velázquez’s Buffoon With Books, featuring Don Diego de Acedo, known as El Primo. In the Rembrandt painting, Weber says, the artist “is looking at you with a big question mark on his face, his eyebrows are pushed up high, and it is about questioning himself and questioning man”. 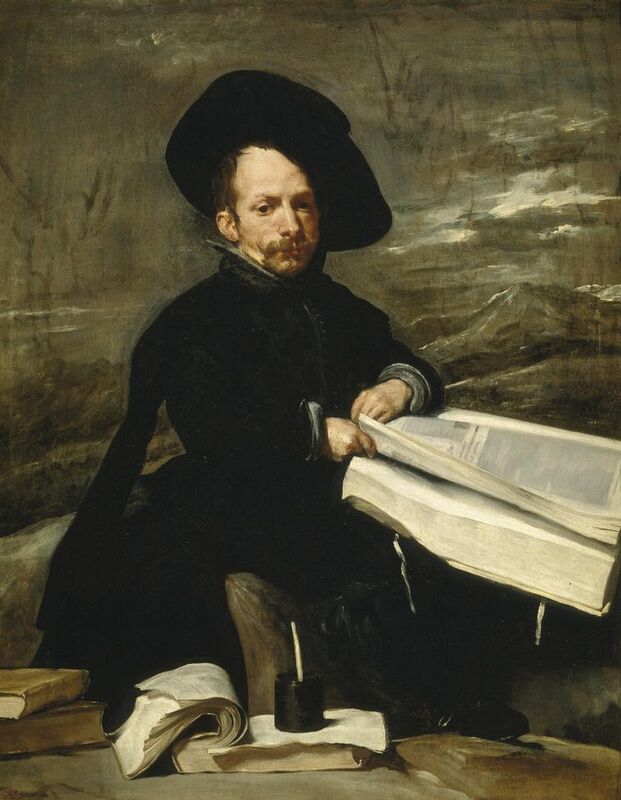 El Primo was one of the fools Velázquez painted at the Spanish court, but with characteristic empathy and holding a book, just as Rembrandt does in his portrait. “Velázquez also creates a question mark,” Weber says. “Is this man really a fool, or an intellectual who knows all about you? Both paintings question the condition of man.” Even in reproduction, this pairing is astonishing. One can only imagine how transcendent it will look on the walls of the Rijksmuseum. This show's self-explanatory title almost underplays the momentous nature of the exhibition, which will be the first time that all of Rembrandt's 22 paintings and 60 drawings, as well as 300 etchings, will be shown together. The exhibition that ends the year will look at these two giants of Baroque art together in depth for the first time. Fancy yourself as a 21st-century Old Master? 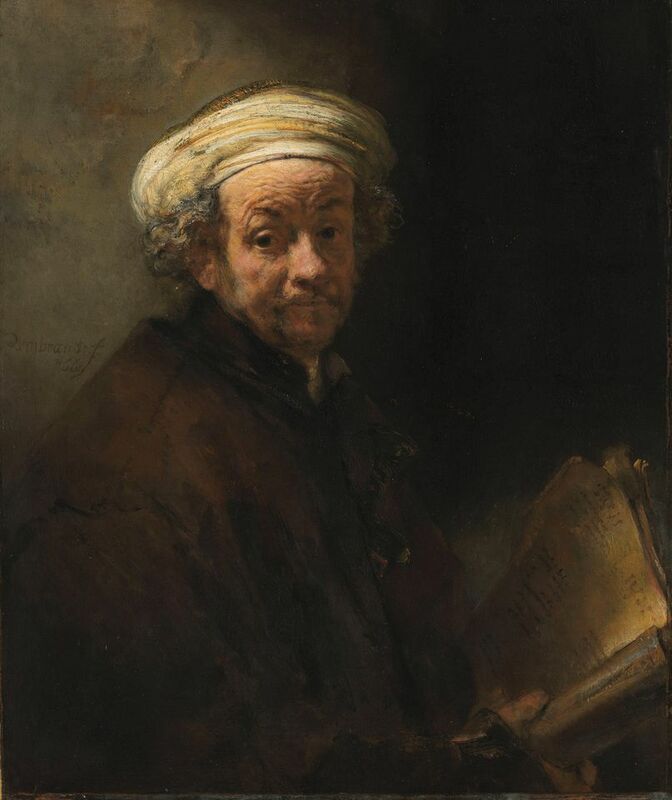 The Rijksmuseum is looking for Rembrandt-inspired works for this open submission exhibition, whether you are a professional or amateur artist. Exhibition focusing on Rembrandt's relationship with his wife Saskia van Uylenburgh, who died at the age of 30. The display centres around Rembrandt's Saskia portrait (1634). This exhibition will explore Rembrandt’s reputation as an “artists’ artist”, with around 100 drawings and prints by the man himself, alongside 50 works by those he inspired. These range from his peers to later admirers, such as Francisco de Goya and Pablo Picasso, to contemporary artists, such as Marlene Dumas and William Kentridge. A small show focusing on 14 drawings by Rembrandt from the state collection, accompanied by a selection of his etchings. Display comparing Caravaggio’s Supper at Emmaus (1601) with Rembrandt’s identically titled work from 1648. Displaying the two paintings next to each other allows the visitor to see first-hand how the young Dutch painter was influenced by the Italian. The Mauritshuis is bringing out all the Rembrandts in its collection, including his masterpiece The Anatomy Lesson of Dr Nicolaes Tulp (1632). The exhibition also includes pieces once attributed to the Dutchman that are now no longer believed to be the artist’s work. Three shows taking place in Rembrandt’s former home explore the artist’s social life; artists who inspired, and those were inspired by, Rembrandt; and how researchers and conservators have dealt with various aspects of his work. Billed as the first major exhibition focusing exclusively on works made by the young Rembrandt, this exhibition taking place in the town of his birth will include around 40 paintings, 20 drawings and 120 etchings. The exhibition has been organised with the Ashmolean Museum in Oxford, where it will travel to next year (27 February- 7 June 2020). Arising from a collaboration with the Rijksmuseum, this exhibition will compare and contrast the artistic traditions of Spain and the Low Countries in the late 16th century and early 17th century, and as well as works by Rembrandt, will include paintings by Velázquez, Ribera, Frans Hals and Vermeer. The Leiden Collection is one of the largest of private collections of 17th-century Dutch art and includes Rembrandt’s Minerva in Her Study (1635). A selection of around 50 Rembrandt prints, including his celebrated The Hundred Guilder Print, will be on show in Liverpool and then Bath. The works originate from Oxford’s Ashmolean Museum, home to one of the largest collections of the artist’s prints, with more than 200 examples. Peter Suschitzky, cinematographer on the films Mars Attacks! and The Empire Strikes Back, will add a suitably dramatic touch to the lighting at this exhibition bringing together 35 of Rembrandt’s works, including, showing for the first time in this country, Philemon and Baucis (1658), on loan from the National Gallery of Art, Washington, D.C. This show includes around 90 works, from the 17th-century Golden Age of Dutch painting to The Hague School of the late 19th century. This exhibition borrows works from Boston’s Museum of Fine Arts to showcase the full gamut of genre painting by Rembrandt and his 17th-century contemporaries.